On Wednesday, March 12 Fairfax DOT and VDOT are holding a meeting to discuss proposed bike lanes on Sherwood Hall Lane. This road is an important connection between Mt Vernon Parkway/Fort Hunt Rd and the Route 1 Corridor. Some nearby residents have voiced strong opposition to the plan. Cyclists are encouraged to attend the meeting and support the proposal. The meeting is from 6:30-8:30 p.m. at Mount Vernon Governmental Center, 2511 Parkers Lane, Alexandria, VA 22306. 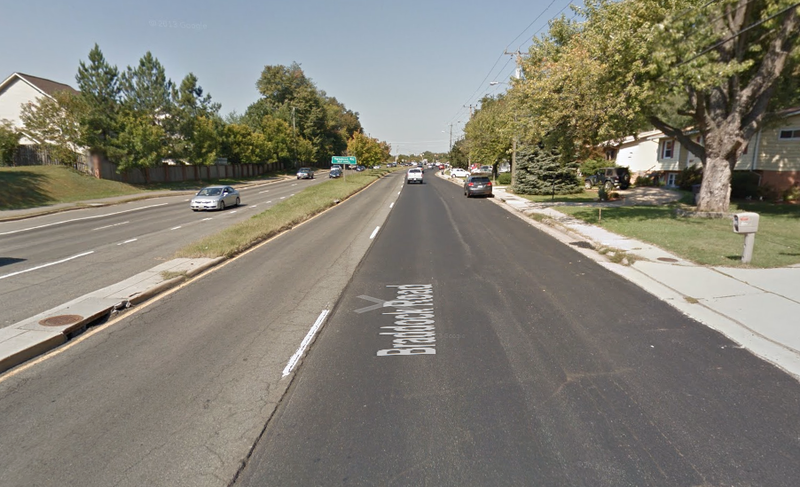 From the meeting announcement: This coming year Sherwood Hall Lane is scheduled to be repaved from US Route 1 (Richmond Highway) to Fort Hunt Road (State Route 629). VDOT and Fairfax Co DOT are examining changes in the pavement markings and signage to address the community’s concerns and make Sherwood Hall Lane more pedestrian and bicycle friendly. As part of the County’s on road bike lane initiative, funding has been made available to prepare pavement marking plans in order to retrofit bike lanes and left turn lanes as part of this repaving project. An initial concept of the markings is to be presented at this public information meeting. The public is invited to comment on the concept. Fairfax County DOT recently sent out over 130 information packets on the Wiehle-Reston East Metrorail Station bike room to cyclists who requested them by filling out a form on the bike room page or by calling 703-877-5766. The packet includes a membership application for the bike room, membership agreement, the fee schedule, and a list of frequently asked questions. A special introductory rate is available until March 1. Those who requested the info packet will need to send in their applications soon. The county has indicated they will give some leeway on the March 1 deadline to those who requested a packet earlier but only received it in the past week (especially now that opening date is likely in the June/July timeframe). Q) What is a Bikeroom? In order to encourage people to bicycle, Fairfax County is making improvements to bicycle parking Countywide at our park and ride lots, Virginia Railway Express (VRE) Stations, our transit transfer facilities, and our new Silver Line Metrorail Stations. The Wiehle-Reston East Metrorail Station incorporates Fairfax County’s first enclosed, secure bicycle parking facility. 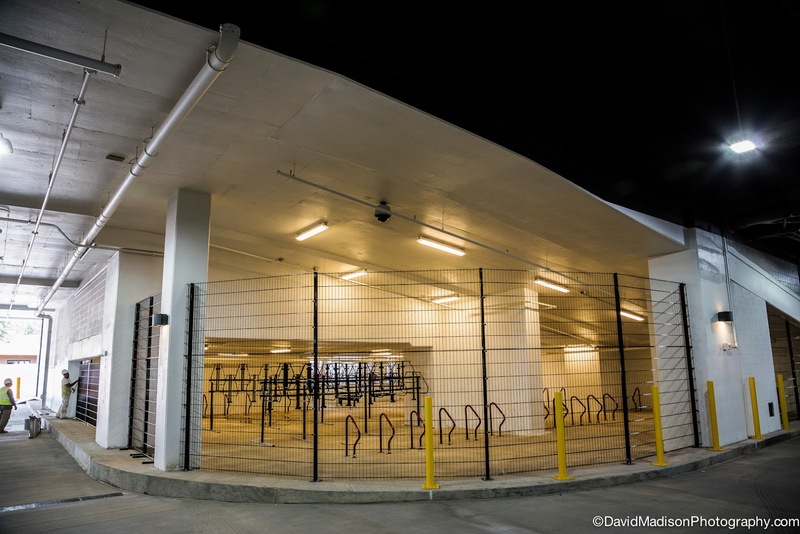 Modeled after WMATA’s Bike&Ride concept, the bike room provides over 200 bicycle parking spaces adjacent located adjacent to the Station’s transit platform and kiss and ride area. Members will be able to access the room 24 hours a day, 7 days a week. This bike room is equipped with both vertical (space-saver style) racks, our standard floor mounted inverted “U” racks, an area designated for over-sized bicycles, two fixit stations including an air pump, and benches, just in case you need a rest or to change your shoes. Q) How do I become a member? First, you’ll need to complete an application form, sign a member’s agreement, and submit payment. Start by contacting the FairfaxCounty Department of Transportation (FCDOT) and requesting an application package. You can also download the necessary forms from our webpage. Q) How much does membership cost? Cheaper than a Segway tour around the Capital! Fairfax County offers both half year and annual memberships. Yearly membership rates are $60, plus a $15 one-time non-refundable processing fee. The 6 month membership is 40.00 plus a $l5.00 one-time non-refundable processing fee. Q) How will it work? Your membership gets you one electronic access device (key fob) and three registration decals. The key fob resembles a small coin, and can be carried on your keychain. Everytime you use the bike room you will need to swipe your key fob in front of the reader at the front door and voila...you’re in. Once you’re in, find a rack and lock your bike. Voila...you’re done! Q) I own several bikes; can I park more than one? We know many of you have more than one bike. That’s why we provide three registration decals. As part of your membership package you can register up to three bicycles, so that should be enough for your commuter, road, cargo or recumbent. Remember, all bicycles in the room must have a current room registration sticker on their bike. Place one decal on your bike. We recommend either the seat tube, down tube, or top tube. Q) Is the bike room secure? We’ve made every effort to make sure our Bike&Ride facility is safe and secure but everybody has to help and do their part. The room is monitored by security cameras as well as security personnel who will check the room periodcally. We’ve also invested in quality bicycle racks that provide multiple locking options. You can help by...ALWAYS LOCKINGYOUR BIKE. Most bicycle thefts are “thefts of convenience”. Don’t make it easy for someone to steal your bike. Use the appropriate lock and lock it correctly. If you’re not sure about how to lock your bike securely, talk to your local bike shop or visit: www.nationalbikeregistry.com. Last but not least, DON’T LET OTHERS IN (it’s called tailgating or piggybacking). We all want to be a friend and let our neighbors in but don’t! Like you, all registered users will have their own key fob and should access the room individually. Remember, Fairfax County is not responsible for lost or stolen items. Q) Can I let my friend into the room? Oh, you didn’t read the previous paragraph, did you? Though you think you are helping others by letting them in the room, please don’t! Besides if they don’t have a registered bike, the bike will be removed. All registered users should use their own fob to access the room. Let’s keep the room safe! NO TAILGATING or PIGGIE BACKING PLEASE. Q) What if I lose my access key fob? Let us know as soon as possible. Call the County Bicycle Program at (703) 877-5600 and we will deactivate access key. To maintain room security, we don’t want someone else that isn’t you getting access to the room. We can then re-issue you a new key fob. A replacement key fob will cost you $|0.00. Q) Do I get a reserved parking space? No. This is a first come first serve facility but don’t worry, the room can handle over 200 bicycles and can be reconfigured if we need more capacity. Q) Can I leave my bike overnight? Yes. We have a lot of reverse commuters and also understand that there may be last minute changes to your commute/ride...it’s no fun to ride in torrential rain or surprise snow storm, so no problem. However, if we notice a bike that’s been parked for more than l4 days, we’ll attempt to contact the owner. Unattended bicycles over 30 days will be removed. Q) Can I leave other bike gear in the room? We discourage leaving personal belongings in the room but if you do, it should be attached to your bike (e.g. helmet, towel, etc.) Remember; FairfaxCounty is not responsible for lost or stolen items. FYI, we are exploring installing coin operated lockers so you can stow your stuff. Q) Can I park my moped or scooter in the room? Good grief no! Neither mopeds, motor scooters, mini bikes, nor bicycles powered with internal combustion engines are permitted within the room. However, the Wiehle-Reston East Station Parking Garage can accommodate these types of vehicles. Electric power assisted bicycles and electric personal assistive mobility devices (e.g. Segway) are welcome. Q) Are there other County operated bike rooms? This is Fairfax County’s first, but it won’t be the last. New secure bike rooms are being planned for additional Silver line stations as well as other park and ride facilities countywide. Here’s the best part. As a member, you will able to access any of the County’s Park&Ride facilities for no additional charge. Q) WMATA hasopened their secure bike room at College Park and adding more at other Metrorail stations. Does my membership include access to those facilities? Our best answer is, not yet. While we attempted to have one seamless operating system that would allow access to both systems, it just didn’t work. The good news is that we’re still working on it. It’s a mutual goal of both the County and WMATA. Q) What if need to cancel my membership? Though we are sad to see you go, we wish you the best! With a simple call we can deactivate your key fob instantly. Please remember to take your bike out of the room before you call. As a momento keep the key fob... you were part of the first of Fairfax County’s bike rooms. Keep in mind the key fob (and your membership) is non-transferable. Q) Ok, I want to sign up, what do I need to do? It’s your room. Please keep it clean. Keep it safe. Do not allow entry to others. Your key fob is not transferable. We hope you enjoy the facility! We have received several calls and e-mails expressing concerns about a variety of topics related to the bike room contract (the application and agreement). We hope to answer these questions and concerns with this email. 1. The bike room will open when the Silver Line opens. Therefore, your membership will begin on the day the Silver Line opens. That will be the date when your contract will begin. At this time, we have not received an official opening date. ON THE AGREEMENT FORM, Please leave the date fields blank. We will fill them in based on the opening date of the Silver Line. 2. If you currently do not have a bicycle or you are planning to get a different one that will be parked in the bike room and do not have the model and serial number at this time, you can leave it blank and provide that information to us at a later date. 3. Please remember that a 1 year membership is $45 ($30 membership fee + one-time $15 key fob activation fee) and a 2 year membership is $75 ($60 membership fee + one-time $15 key fob activation fee). We would also like to remind you that as long as we have you on our list or you send an email by March 1, 2014 you will get the introductory rates. So if you know of others that are interested, there are still 2 days to get the special rates. 4. You will receive your key fob within 5 days of the Silver Line and bike room opening. As we said previously, we don’t know when the opening date is yet, so we cannot tell you specifically when to expect to receive the key fob, but will send an email out when we do have a concrete date. 5. Unfortunately, public access to the bike room will not be possible until the official opening of the Silver Line. However, you will have an opportunity to tour the room and the station as the County will have an open house for the Wiehle-Reston East Station… Details to come. 6. As a reminder, please make all checks payable to Fairfax County. Senate Bill 97 would require motorists to allow three feet when passing a bicyclist. The current law requires only two feet. The bill passed the Senate by a vote of 31-7. This morning it passed the House Transportation Committee 14-6. The bill now goes to the full House floor. Please contact your Virginia Delegate and ask them to support this bill. To find out your Delegate see a link at the top of the Virginia General Assembly page or visit WABA's action page. Unfortunately House Bill 82 was defeated in the Senate Transportation Committee. See Virginia Bicycling Federation's account of the vote. Thanks to Delegate Barbara Comstock who sponsored the bill and worked with cyclists to try to get it passed. At the Fairfax Co Board of Supervisors meeting yesterday Hunter Mill District Supervisor Hudgins raised the issue of snow removal on sidewalks. She asked the Board to direct staff to hold a "forum for discussion of sidewalk snow removal." The Board has addressed this issue repeatedly in the past as we outlined in a recent blog post on snow-covered sidewalks and trails. We will suggest that snow removal on trails and bike lanes be included in the discussion. This will be a good opportunity to discuss ways to clear the most important walkways and bikeways of snow, especially those leading to activity and transit centers. Some progress is being made in Fairfax. For the first time this year NVRPA staff removed snow on the W&OD Trail, and Reston Association regularly clears their trails of snow. As Fairfax County continues to clean up from the latest winter storm, once again the issue of snow removal on sidewalks has been brought up in the Hunter Mill District. The Fairfax County Board of Supervisors has directed County staff to work on a sidewalk snow removal policy five different times in the past from 2003 to the present. In the past, we had discussions on whether to regulate snow removal with an ordinance and we have even had coordinated community snow removal volunteer efforts. However, these measures continue to miss the mark without an ordinance or the structure of a coordinated agreement. The lack of pedestrian access during snow events causes safety issues for school children and transit users throughout the entire community. As portions of Fairfax County began to urbanize, the inability of pedestrian travel during snow events causes an unnecessary hindrance to our constituents. It is time to revisit this matter. Madam Chairman, I move that the Board of Supervisors direct the County Executive and the Office of Public Affairs to provide a forum for discussion of sidewalk snow removal. The forum should include the Virginia Department of Transportation (VDOT), Fairfax County Department of Transportation (FCDOT), Fairfax County Public Schools (FCPS), Department of Public Works and Environmental Services (DPWES), and community organizations. The goal of the forum is better coordination between these agencies to help provide safe access for school children, pedestrians, and transit customers. See the Virginia Bicycling Federation update about HB 82, Following Too Closely, introduced by Delegate Comstock of McLean, being reconsidered in the Senate tomorrow, Wed. Feb. 26. The bill passed the house earlier. Please also visit the WABA alert page to register your support. Also available as a Word document, please share and use this to get constituents to write to Senate Transportation Committee members, before their meeting Wednesday afternoon, 2/26. 3. Without this amendment, §46.2-816 is in direct conflict with §46.2-800 which grants the operator of a bicycle, electric personal assistive mobility device, electric power-assisted bicycle, moped, or an animal or driving an animal on a highway the same rights and duties of a driver of a motor vehicle. 4. There is no reason to believe that the proposed revised statute would be any more difficult to enforce than the current statute, which is routinely enforced against drivers who rear-end other drivers. The Virginia State Police have testified, through their representative Danny Glick, that the enforcement of the revised statute would not pose any particular problem. 5. The Senate Transportation Committee has voted overwhelmingly in favor of previous versions of this bill in 2011 (15 -0) and 2012 (14-0) by many of the same committee members now serving. In the Senate, the bill was approved by margins of 40-0 in 2011 and 28-12 in 2012. 6. According to http://novasmartcycling.blogspot.com, the City of Virginia Beach requested this legislation in its Requested Code of Virginia Changes for 2010 and 2011. For the foregoing reasons, on behalf of Virginia’s cyclists and others who choose not to, or cannot, operate motor vehicles, we, the Virginia Bicycling Federation, respectfully ask you, our elected representatives, to correct this glaring inconsistency within the Virginia Motor Vehicle Code. There is, quite simply, no rational basis for failing to pass this bill. Once again Sen. Chap Peterson's dooring bill, SB 97, was defeated in the House of Delegates Transportation subcommittee by a vote of 4-3. According to Virginia Bicycling Federation, the chairman of that committee, Delegate Garrett from Lynchburg, an M.D. "kept his record intact of NEVER supporting any bill that would benefit the bicyclists." See the Post article "Virginia House panel again shoots down bill to protect cyclists from ‘dooming’." It is illegal in 40 states and the District of Columbia to open the door of your parked car into the path of a bicyclist. But in Virginia it remains perfectly fine, after the state House of Delegates again shot down a bill to prohibit “dooring” on Monday morning. Last year, the dooring bill passed the Senate but died in a tie vote in the House Transportation Committee. This is an issue of great interest in Northern Virginia, where more folks are riding bikes to work or using Capital Bikeshare to get around and having to coexist with our infamous traffic. The Fairfax Co Board of Supervisors recently approved changes to the Comprehensive Plan to encourage dense, mixed-use development around the planned Silver Line stations in Reston and Herndon. 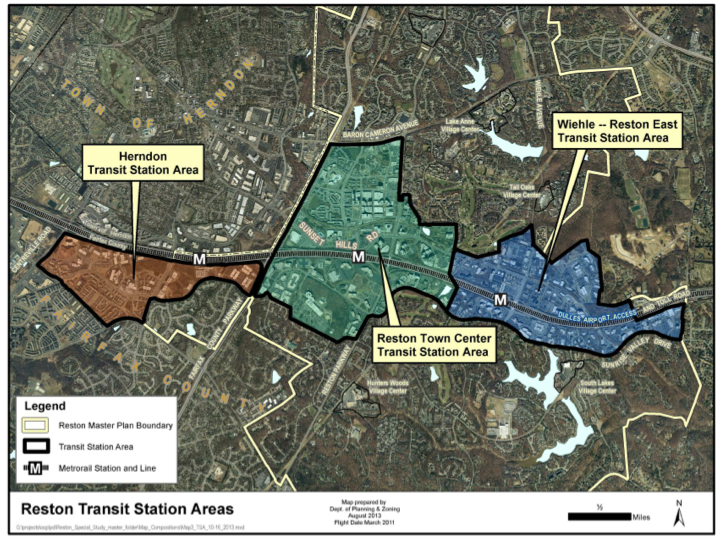 See the full Reston Transit Station Areas (TSAs) Comprehensive Plan Text. There are extensive bike facility recommendations included in the plan. Most are based on the draft Countywide Bicycle Master Plan that will come before the Planning Commission (May 8) and Board of Supervisors (June 17) this Spring. Overall there is a recognition that Reston will be a better community if residents and visitors have several options for traveling including good bike facilities. There is also a recognition that widening our roads and improving conditions for motorists often has a negative impact on pedestrians and bicyclists. Instead, creating additional street connections helps everyone find alternative travel options rather than relying on a few big roads with widely spaced intersections. 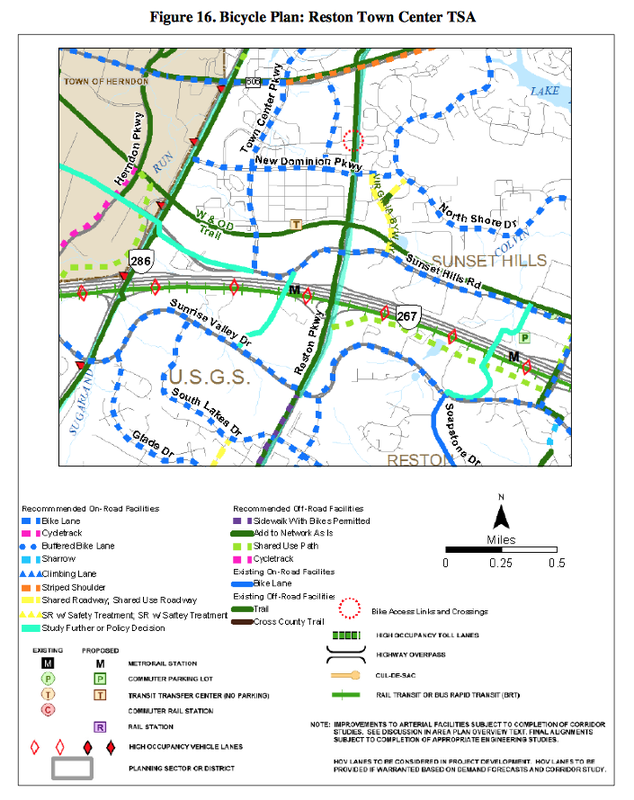 Kudos to Fairfax County, Supervisors Hudgins, and the Reston community members who participated in the planning process, for recognizing the importance of pedestrian and bicycle connectivity and access. All development proposals within the TSAs will be evaluated for the extent to which they meet or contribute to the following objectives. Figures 15-17 that reflect recommended bicycle facilities based on the DRAFT Countywide Bicycle Master Plan. First, determine whether increased operational efficiency is achievable without decreasing pedestrian walkability and safety. If increased operational influence does not result in an acceptable level of service, additional turn and through lanes can be considered on condition that the level of walkability remains acceptable. However, exclusive turn lanes and/or through lanes will not be desirable in most cases since it will increase street widths at intersections and therefore work against an attractive environment for pedestrians. In lieu of additional lanes, it is preferable to add links to the street grid where applicable with the goal of promoting the build out of the grid of streets. This strategy creates additional diversionary paths for vehicles and decreases the traffic at problem locations in the vicinity of a proposed development. When step 3 is not achievable, decrease future site-generated traffic by (1) changing the mix of land use within the parameters of the applicable land use guidelines (e.g., replacing office or retail uses with residential use); (2) increasing transit use through provision of additional and improved services; and/or, (3) optimizing the application of TDM with measures that might include greater transit use, carpooling, ridesharing, walking and bicycling. Minor Arterials-Type B - Sunrise Valley Drive, Sunset Hills Road and Wiehle Avenue are examples of Minor Arterials-Type B in and adjacent to the TSAs. If an on-road bike lane is not provided, then one extra wide travel lane per direction may be desirable, adjacent to the curb, to accommodate bikes (14 feet). The lane should be marked or signs posted indicating that bikes are using the outside lane. Collector Streets - Town Center Parkway and New Dominion Parkway, as well as the future Soapstone Road, South Lakes Drive and Town Center Parkway extensions are examples of collectors in and adjacent to the TSAs. o If an on-road bike lane is not provided, then one extra wide travel lane per direction may be desirable, adjacent to the curb, to accommodate bikes (14 feet). The lane should be marked or signs posted indicating that bikes are using the outside lane. A target posted speed of 30 miles per hour is desirable for Collectors. In some cases, 25 miles per hour may be desirable for Collectors. Local Streets (Local) - Local streets in this area include the internal circulation roads and the new planned streets which connect the land uses to collector roads and allow internal circulation. The outside lane is a shared travel lane between bicycles and vehicles. Local streets are low speed facilities that normally may not require bike lanes. During the course of the public planning process, several recurring themes related to parks, recreation, and cultural amenities within Reston were identified. These themes suggest specific opportunities (some geographic, some conceptual) to implement a parks system within the area. East-West Connections: Establishing east-west connections within the area is just as important for internal pedestrian and bike circulation as well as connections to the remainder of Reston. The Washington & Old Dominion Trail (W&OD) provides regional pedestrian and bike connectivity north of the DAAR, but a corresponding connection does not exist south of the DAAR. An east-west connection along Sunrise Valley Drive would create such a central pedestrian and bike connection south of the DAAR. North-South Connections: The creation and strengthening of north-south connections throughout the area will contribute greatly to the success of the parks system. These pedestrian and bike connections will provide access to amenities located on one or the other side of the DAAR. The connections become particularly critical in being able to connect the TSAs with the larger Reston community. To that end, north-south connections should be strengthened/enhanced or created along the axes created by the three metro stations, at a minimum. Any new north–south vehicular connections should also include pedestrian facilities. Linear Parks: Creating a variety of linked, multi-use parks will be central to the success of the redevelopment of the area. A combination of active and passive amenities linked (or adjacent) to central pedestrian and bike ways should be created. Using existing natural and stormwater features as a backbone for linear parks should also be considered. Sunrise Valley Corridor: Several manmade water and natural features exist in the vicinity of the Sunrise Valley corridor and provide a particular opportunity to create small, semi-urban scale parks. Placing trails and clustered amenities such as fitness stations, playgrounds, or interpretive stations around existing or future features builds upon Reston’s existing infrastructure. It may allow double use of spaces – in some cases allowing stormwater management goals to be achieved simultaneously with recreation goals. In addition to realizing the vision of Sunrise Valley as an east-west connection south of the DAAR, it also places amenities in proximity to planned development. At the FABB monthly meeting last night Charlie Strunk, the county Bicycle Program Manager, announced that Adam Lind was recently selected to fill the Transportation Planner position in the Bicycle Program. Adam was working as a Planning Technician in Fairfax DOT. He's a cyclist who commutes by bike and bus to his job at the DOT office on Legato Road. Before coming to Fairfax DOT Adam was a Transportation Planner intern for the Town of Chapel Hill, NC and before that he was a Bicycle and Pedestrian Master Plan intern for the Town of Blacksburg. He is a 2012 graduate of Virginia Tech's Master of Urban and Regional Planning program with a focus on Transportation Planning. We want to welcome Adam to the county bike program and we look forward to meeting him at the next FABB meeting and working with him in the future. See his LinkedIn profile for more background info. VDOT is holding a meeting tonight, Thursday, Feb. 20, at Colvin Run ES to provide information and solicit comments on their plans to replace the Route 7 bridge deck over the Dulles Toll Road. See our earlier blog post about the meeting. There are currently no bike or ped facilities on this bridge other than the normal travel lanes. Current plans include 14-foot trails on each side of Route 7. Proposals include grade-separated crossings to avoid having cyclists and pedestrians crossing dangerous high speed exit/entrance ramps. This is a great opportunity to speak out for safe ped/bike crossings of the Toll Road. This access will allow users to reach the new Spring Hill Silver Line station and other destinations in Tysons. It will also allow future Tysons residents another option for getting around without using a car. If you can't attend the meeting, please send comments in support of bike access on Route 7. Mention "Route 7 Bridge Decks Replacement" in the subject. VDOT had a full team of staff available to answer questions and discuss the Fairfax Co Parkway trail repaving project at the meeting on Tuesday. The project is divided into two phases. The first phase is from Route 7 to Route 29. That work is scheduled to begin in March and end in December. This is a major undertaking for VDOT on this trail that has been deteriorating over the years and needs major maintenance work in several sections. The project powerpoint presentation is available online. The entire trail will not be repaved. Where large cracks have developed but the remainder of the trail is in good condition, the cracks will be sealed. Where the asphalt has deteriorated, those sections will be repaved. While the trail will be closed between 9 a.m. and 3 p.m., those using the trail for commuting during regular business hours should be able to complete their trips before and after those times. Otherwise we've asked that where possible trail users be allowed to carefully bypass work in progress. Small laminated signs will be posted on each end of the sections under construction providing information to users (image on left), including estimated dates for completion of the segment and a QR code for linking to the project website. Additionally, a reference map will be posted to allow cyclists to determine possible alternative routes, with a phone number for contacting on-site staff. We're hoping that the county bike map will be used as the basemap. FABB has worked closely with VDOT on this project, helping identify where repairs are needed and discussing processes used during construction. The work will be a major benefit to cyclists who use this important north-south trail connection. Thanks to VDOT for funding the work and listening to our concerns. Their efforts are very much appreciated. This is what happens when sidewalks are not cleared near activity centers. The top photo shows a pedestrian walking in Sunset Hills Rd near the future Wiehle Metro station and several retail and commercial areas. The second photo shows that pedestrian standing in a snow bank waiting for the Fairfax Connector bus. The third photo shows a pedestrian at Wiehle Ave and Sunset Hills Rd adjacent to the new Wiehle Silver Line station. The final photo shows a dog walker using the partially cleared bike lane on Soapstone Dr. As we often see, bike lanes are used by more than just bike riders. What's the solution? Fairfax County needs a snow clearing ordinance, with exceptions for the elderly and others who physically can't remove snow on public sidewalks and trails adjacent to their property. Volunteers could be on call to assist. Business owners and residents would have to figure out how to clear snow from their sidewalks. HOA's could include sidewalk snow removal in their budgets. VDOT should tell their snow plow drivers to try to avoid dumping snow on curb ramps at intersections. VDOT and the county should identify key transportation trails used by cyclists and clear them of snow: the W&OD Trail (see FABB blog post about their efforts to clear snow), the Fairfax County Parkway Trail, and others. The Fairfax Board of Supervisors has tried to address this issue in the past. I searched through Board meeting summaries for references to "snow" for the past several years. A common theme emerged. Every year there is an "historic" or "unprecedented" snow storm. The Board directs staff to look into the problem of clearing snow from sidewalks and trails. Nothing happens. I shouldn't say that. After prompting from the Board the county started clearing snow from sidewalks on some county properties. The schools have gotten better about clearing snow adjacent to their property but the sidewalks and trails leading to schools are not cleared. Some progress has been made but much more needs to be done. Supervisor Mendelsohn stated that the snowstorms of the last few weeks brought to his attention a safety issue for students walking to school. With the completion of a sidewalk on one side and a hike/bike trail on the other side of Dranesville Road last June, Fairfax County Schools' Transportation Department discontinued bus service to Herndon High School students who lived within one mile of the school and could use the new trail as access to school. Supervisor Mendelsohn stated that during the recent snowfalls no one cleared the sidewalks or trails of snow on Dranesville Road. It appears that no one is accepting responsibility for clearing this trail and sidewalk and that this same problem may be present along major roads in Fairfax County. Neither VDOT, the Schools, nor Public Works has offered a solution to this issue. Therefore, Supervisor Mendelsohn moved that the Board direct the County Executive to address the issues of who owns the sidewalks and who is responsible for the maintenance of these walkways along major roads and report his findings as soon as possible. Following discussion, Chairman Hanley relinquished the Chair to Vice-Chairman Hyland and asked to amend the motion to direct staff to also work with the School Division, and this was accepted. Vice-Chairman Hyland returned the gavel to Chairman Hanley. Supervisor Hudgins noted safety issues for senior citizens as well as students and asked to amend the motion to direct staff to publish and identify with the School Division the responsibility for clearing the walkways to inform the community and ensure that the snow is removed, and this was accepted. Following further discussion, regarding public transit bus stops and public walkways, Chairman Hanley seconded the motion, as amended, which carried by a vote of nine, Supervisor McConnell being out of the room. Supervisor Hudgins commended the Virginia Department of Transportation (VDOT) for its snow removal from the streets following the heavy snow accumulation from the February 15, 2003, snowstorm. She noted, however, that those residents who walk, bicycle, and use public transit face serious impediments. Several constituents called her office to express concerns about the dangerous conditions at bus stops. Since residents are encouraged to use public transportation as much as possible to relieve road congestion, particularly in inclement weather, she expressed her belief that more should be done to make conditions safe for pedestrians. She noted that the current standard is unacceptable because snow removal on streets makes conditions worse for pedestrians. Accordingly, Supervisor Hudgins moved that the Board direct staff to work with the Department of Public Works and Environmental Services, the Department of Transportation, and VDOT to determine what strategies can be taken to assist how snow removal from walkways, particularly at bus stops, can be accomplished to assist pedestrians using public transit after snowstorms. Supervisor Bulova seconded the motion, which carried by a vote of eight, Supervisor McConnell and Supervisor Mendelsohn being out of the room. Chairman Hanley said she received a letter from the Non-Motorized Transportation (Trails) Committee requesting that the County look into adopting a Snow Removal Ordinance. Although the creation of such an ordinance has been examined by the County in the past, the Trails Committee has made several recommendations that may merit another look at its feasibility. Additionally, this winter's harsh weather showed that while the County has made great progress in snow removal since the "Blizzard of '96" there are several areas of snow removal that can be improved, particularly related to pedestrian facilities and snow removal. Therefore, Chairman Hanley asked unanimous consent that the Board direct staff to review the Trail's Committee's recommendations, particularly the recommendation for County maintenance staff to clear snow from sidewalks along the perimeter of the property, and provide the Board with its findings. Without objection, it was so ordered. Following discussion, Supervisor Connolly asked unanimous consent that the schools be included in the survey. Without objection, the request was so ordered. Supervisor Hudgins moved that the Board concur in the recommendation of staff and approve the draft letter from Chairman Connolly to Secretary Clement transmitting the comments and recommendations to VDOT as contained in the Board Agenda Item dated February 9, 2004. Supervisor Bulova seconded the motion. Discussion ensued with input from Christopher D. Wells, Pedestrian Program Manager, Department of Transportation. Following discussion, Supervisor Hyland referenced Section 4.5, Maintenance, of the draft Virginia Department of Transportation Policy for Integrating Bicycle and Pedestrian Accommodations, and asked unanimous consent that the Board direct staff to provide a recommendation on whether citizens should be required to shovel and clear their sidewalks of snow and ice. Without objection, it was so ordered. Supervisor Hudgins asked unanimous consent that the Board direct staff to concentrate on some level of population density or something that identifies the number of people, streets, pathways, and public facilities that are needed to be accessed and recommend the most feasible method of accomplishing the task of snow and ice removal. Without objection, it was so ordered. Following additional discussion, the question was called on the motion and it carried by unanimous vote. Supervisor Gross said that the sudden snowstorm earlier this month brought many calls to her office concerning plowing the snow off the roads in neighborhoods. Just as important, and sometimes overlooked, are the sidewalks in front of residential and commercial properties. Children and adults, who depend on clear sidewalks as part of their daily routine, are put at risk of injury (or worse) when they are forced to walk on icy sections or along the edge of the road. The Cities of Falls Church and Alexandria already have laws requiring property owners to clear their sidewalks. One constituent suggests a minimum requirement of a two foot wide path be cleared within the first 12 to 24 hours after snowfall. Therefore, Supervisor Gross asked unanimous consent that the Board direct the County Executive to disseminate information on previous efforts to develop a policy addressing when property owners are responsible for sidewalks adjacent to their homes. Without objection, it was so ordered. Discussion ensued regarding the possibility of not enacting a law, but instead urging that citizens voluntarily remove snow, and urging civic and homeowner associations to become involved in the snow removal process. Supervisor Gross asked unanimous consent that the Board direct staff to circulate information regarding the County’s Policy for snow removal to the public. Without objection, it was so ordered. Supervisor Cook said that trails and sidewalks are key assets and pieces of infrastructure that are used not only for exercise and enjoyment, but also commuting. Unfortunately, due to budgetary constraints, the County is unable to ensure these particular pieces of infrastructure stay "clean, clear and accessible.” To address this glaring need, the County's Trails and Sidewalks Committee is asking that volunteer support for cleaning and clearing sidewalk and asphalt trail surfaces be authorized to help maintain public walkways in an acceptable condition. He noted that cleaning and clearing does not include significant maintenance projects, but rather minor upkeep efforts such as raking, edging, and trash and debris removal. Supervisor Cook referred to his written Board Matter which includes a set of suggested guidelines, drafted by the Trails and Sidewalks Committee which explain the vision the Committee has for this undertaking. They seek to develop an informal program that encourages and organizes volunteers to assist in the clearing of trails and sidewalks. Supervisor Cook said that his community engagement initiative has worked to inspire and train residents to take ownership of neighborhoods by working together to address opportunities for growth as well as meeting challenges. Supervisor Foust asked to amend the motion to change the reference in number 1 of the proposed Guidelines for Volunteer Efforts from “. . . walkway surface (either concrete or asphalt)” to “all trails,” and this was accepted. Supervisor McKay asked to amend the motion to include coordinating with the schools regarding prioritizing routes for snow removal, and this was accepted. The question was called on the motion, as amended, and it carried by unanimous vote. Today Northern Virginia Regional Park Authority staff (NVRPA owns the W&OD Trail) used their snow blower to clear about a 4-5 foot wide section of the trail through Herndon and Reston up to Old Reston Ave. We didn't travel further west but we assume the clearing began at trail headquarters at Smith Switch Station just east of Ashburn. We're hoping park staff continue tomorrow from Reston to Vienna and Falls Church. To our knowledge this is one of the first times that major sections of the trail have been cleared by NVRPA. The trail is a major commuter and recreational route for cyclists. Thanks NVRPA! W&OD Trail at Old Reston Ave looking east. At Old Reston Ave looking west. At Van Buren St looking east. At Crestview Dr looking east. At Crestview Dr looking west. 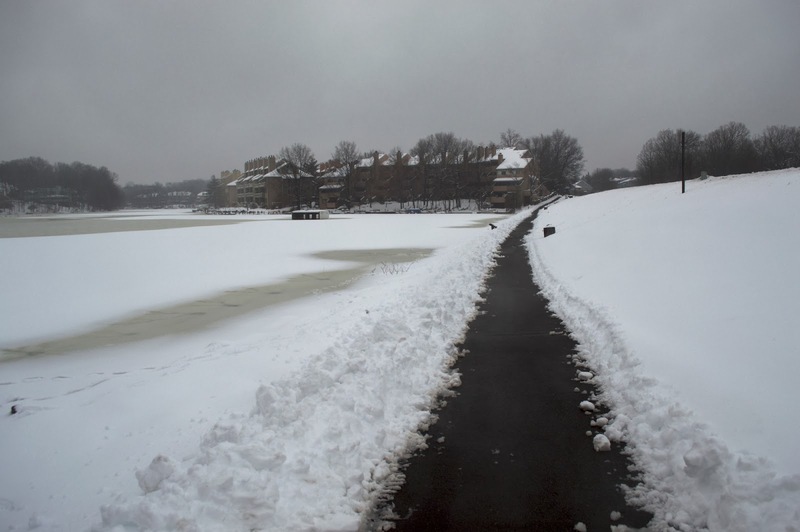 Update 28 Feb 2014: See Reston Parcb article about draft letter from Reston Association Board of Directors regarding plowing the W&OD Trail in Reston. Update 7 Mar 2014: See the Regional Parks blog entry Snow on the W&OD Trail about NVRPA's current philosophy about clearing snow on the trail. Braddock Road widening project meeting on Wed.
Fairfax County plans to widen Braddock Road from Guinea Road to the Beltway. The Braddock Road corridor has major potential as a bike route between Annandale and other destinations east of the Beltway, and Burke, George Mason University, and Fairfax City west of the Beltway. Bike accommodations need to be part of the project. A meeting will be held on Wed., Feb. 19 at 7:30 p.m. at Lake Braddock Secondary School. The purpose of the meeting is to "allow the County to outline the project, collect public feedback, and introduce a citizen’s committee that will have a key role in planning." Cyclists are encouraged to attend the meeting and speak out for safe, connected bike facilities on Braddock Road. Just a reminder that VDOT is holding an information meeting on the repaving of the Fairfax County Parkway Trail. The meeting is scheduled for Tuesday, Feb. 18 from 7 p.m. to 8 p.m. at the Virginia Department of Transportation, 4975 Alliance Drive, Fairfax, VA 22030. Find out which sections are being paved, how cyclists will be accommodated during the repaving, and when the project is expected to start. See a previous blog entry about the project. If you plan to ride to the meeting, don't plan on riding on any of the trails along West Ox Rd or the Fairfax Co Parkway trail as they will very likely still be covered with snow. Virginia Delegates and Senators: Support Bicycling! Virginia bicyclists: now is the time to act. The Virginia legislature is considering three separate bills which addresses street safety for bicyclists. All three bills have survived their respective legislative body and now are crossing over sides. For this bills to become law, they must now pass out the House and Senate. Please take a moment and ask your elected represenatives to support the bicycling bills. This bill would require drivers of any vehicle to not follow more closely than is reasonable any other vehicle, including bicyclists. This bill requires motorists to leave three feet of clearance while passing bicyclists. 22 other states and Washington, DC that have similar statutes require motorists to pass by three feet or more. Support: SB 225 - Opening and closing motor vehicle doors. If this law is enacted, drivers and passengers in Virginia will be legally required to exercise care when opening their car doors with respect to adjacent traffic. Dooring of bicyclists by drivers and passengers can cause serious injury and this bill seeks to reduce the potential of dooring. Thanks to WABA and Virginia Bicycling Federation for their work on this effort. The W&OD Trail at Hunter Mill Road looking east toward Vienna. I didn't see any ski tracks, one reason that NVRPA has given for not clearing snow from the trail. Even if there were skiers, there are two trails and skiers could use the unpaved trail. Let's hope the NVRPA snow blower makes a pass through Herndon, Reston, and Vienna and parts east in the near future. Once again most people who walk and bike to get around are forced either to walk or bike in the road or not travel at all, unless you live in Reston. Most of the trails in Reston have been plowed and are passable, with the exception of the W&OD Trail. The trails that were plowed are maintained by the Reston Association. Riding in the road is always and option and for some riders that's OK. However, many riders make use of trails for some or most of their trips. Walking and biking are important travel options to the Reston Association Board and they have shown their support by budgeting the funds need to plow their trails. We can't expect county trails and sidewalks to be cleared of snow unless VDOT and Fairfax County set aside the resources needed to do the work. They also need to give better guidance to snow plow drivers to direct them to avoid dumping snow at the corners of intersections where the large mounds of snow gather and remain for weeks. While the W&OD Trail management purchased a snow blower a few years back, that trail is still covered with snow, at least in this area. I'm fortunate to live in Reston. There hasn't been a time since the last snow that our trails were not clear. There is ice in spots and we need to be careful, but most of the trails are usable. That's one reason that Reston is a bicycle-friendly community. Thanks Reston Association. Great news as Fairfax County responds to requests to make cycling to transit centers easier and more convenient! 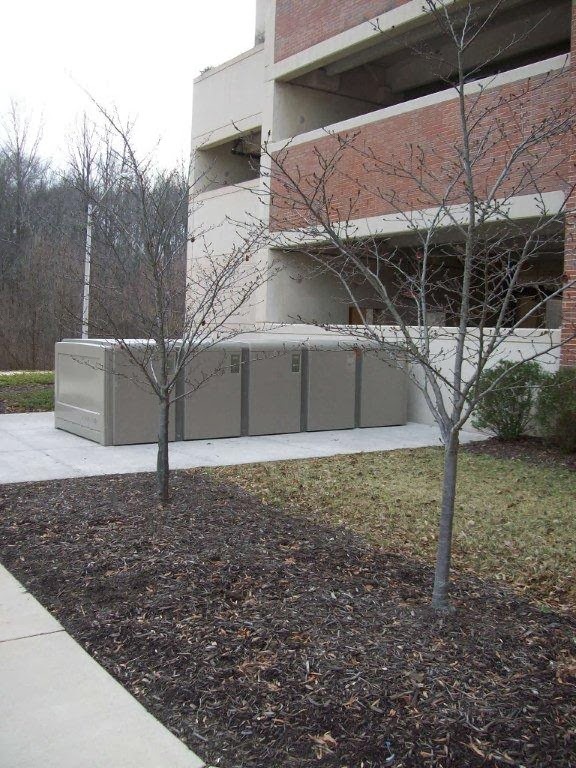 FCDOT has just placed 10 new enclosed bike lockers at the Burke VRE Station in Burke Center. Burke VRE Station, home to VRE, Amtrak (yes Amtrak! ), and Express Buses to Tysons and the new Silver Line, now has covered bike racks in the parking garage, racks at the Station steps and now new secure bike locker storage to choose from as bicyclists consider their options. Burke VRE Station now has easy bicycle access via the Burke VRE Trail, Roberts Parkway and Burke Center trails. If you want to save yourself the cost of a car, try a bike! If you want to rent a locker, $60 a year, send an email applicant per the FCDOT website (the website does not list Burke VRE station, but the lockers are available). 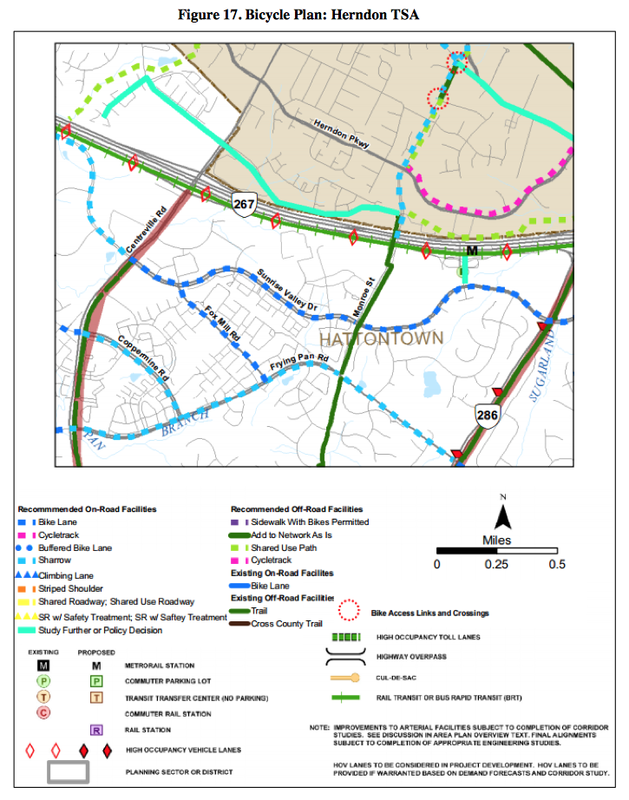 VDOT is holding an information meeting on the repaving of the Fairfax County Parkway Trail. The meeting is scheduled for Tuesday, Feb. 18 from 7 p.m. to 8 p.m. at the Virginia Department of Transportation, 4975 Alliance Drive, Fairfax, VA 22030. FABB has worked with VDOT to identify sections of the trail most in need of repair. Unfortunately there are not enough funds to completely repave the trail so several sections will be selected. The work will happen in two phases. 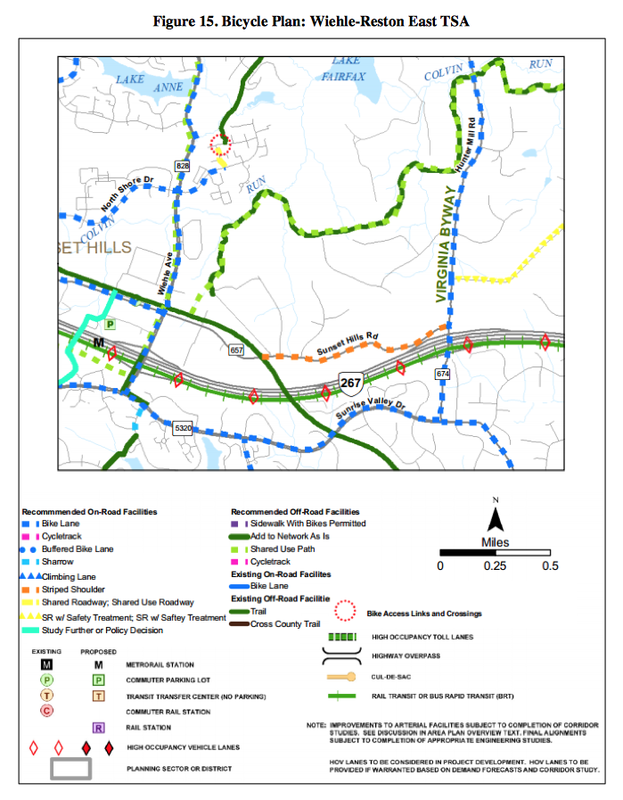 See the FABB blog for more details on the project and see the Fairfax County Parkway Trail Maintenance project page. Cyclists are encouraged to attend the to support the project and to find out details about what provisions are being made for ensuring the trail users have short-term detours or alternate routes. While it does not make sense to spend scarce maintenance funds on building elaborate detours, more informal detours could be provide to ensure cyclists and other trail users aren't forced to fend for themselves when faced with a "Trail Closed" sign. Below is from the VDOT announcement of the meeting. 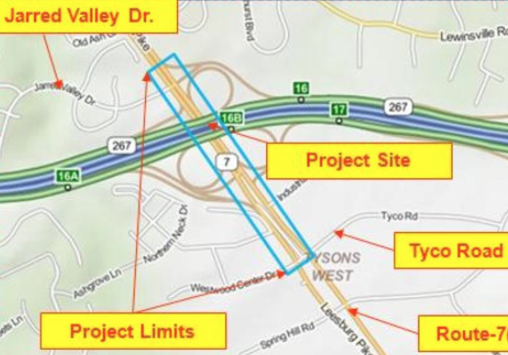 Fairfax—The Virginia Department of Transportation (VDOT) will host a “pardon our dust” meeting on a $354,000 project to repair the pedestrian/bicycle trail adjacent to Fairfax County Parkway between Leesburg Pike (Route 7) and Lee Highway (Route 29). The repairs will improve safety, readability and durability of the trail. The meeting will be held on Tuesday, Feb. 18 from 7 p.m. to 8 p.m. at the Virginia Department of Transportation, 4975 Alliance Drive, Fairfax, VA 22030. Residents are invited to attend to learn more about the maintenance and repairs that are scheduled to take place from March 2014 to September 2014. The meeting will begin with a project presentation, followed by an open question and answer session. VDOT ensures nondiscrimination and equal employment in all programs and activities in accordance with Title VI and Title VII of the Civil Rights Act of 1964. If you need more information or special assistance for persons with disabilities or limited English proficiency, contact VDOT’s Civil Rights 703-259-1775 or (TTY/TDD users, call 711). 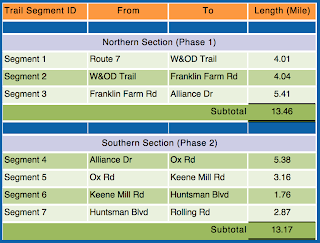 For more information, visit the Fairfax County Parkway Trail Maintenance project page. VDOT is holding a meeting on Thursday, Feb. 20 13, at Colvin Run ES to provide information and solicit comments on their plans to replace the Route 7 bridge deck over the Dulles Toll Road. There are currently no bike or ped facilities on this bridge other than the normal travel lanes. Current plans include 14-foot trails on each side of Route 7. We have asked that the trails be grade-separated to avoid having cyclists and pedestrians crossing dangerous high speed exit/entrance ramps. Stop by a design public hearing for this project between 6 p.m. and 8 p.m. Thursday,February 13, 2014 at the Colvin Run Elementary School, 1400 Trap Road, Vienna, VA. Email meeting_comments@vdot.virginia.gov or send your comments to Mr. Arifur Rahman, P.E., 4975 Alliance Drive, Fairfax, VA 22030 by March 3, 2014. If cancelled due to weather, meeting will be Thursday, February 20, 2014, 6 - 8 p.m. This project will widen Route 7 from four lanes to six lanes, approximately from 0.1 mile west of Tyco Road to approximately 0.6 mile west of Tyco Road. The six lane facility will tie into the existing four lanes. The decks of the two existing bridges over Dulles Airport Toll Road (DATR) will be replaced and widened in the middle to accommodate one extra lane on each side of the bridges. A 14 foot wide shared-use path will be built for pedestrians and bikes to travel in each direction. The shared-use path will tie into future trails. The proposed grade of the bridges over DATR will be raised to meet the standard clearance requirement of 16' 6". The superstructure and the two abutments of the existing bridges will be replaced, and the substructure will be repaired. Existing piers will be widened to accommodate the additional width for the bridge. The widening work will require some additional right of way and temporary construction easements. Even though Reston is a Bronze level Bicycle Friendly Community, many of the stores do not have bike parking. Those that do usually have racks that are not recommended by local standards. Yesterday we were at the local Trader Joe's food store located just north of the Reston Town Center. The store has what is called a "grill" rack or a "schoolyard" rack. It's the kind of rack that isn't recommended by proposed Fairfax bike parking guidelines. Many people park the front wheel in the rack and lock the wheel; which makes it easy to steal the rest of the bike by removing the front wheel. We usually use the end of the rack where we can use a U-lock to lock the bike frame to the rack. At Trader Joe's the bike rack is used for storing their shopping carts with baby seats as you can see from the photo. We've complained nearly every time we've been to the store. Once again I complained to the manager. He looked up, nodded, and said "OK." I could tell he was basically ignoring me so I asked for his card. He handed me a blank store card. I asked for his name. He gave me his first name. I asked for his last name. Only then did he actually engage me in conversation. He said "we don't have much of a bicycling population here." I told him that the carts stored in the racks didn't help. He said why not just move the cart and park your bike, that's what one of his employees does who occasionally bikes to the store. My wife once tried that only to find a cart wedged in next to her bike when she returned. FABB has been advocating for bike standards in Fairfax since 2007. We're told the standards have finally been completed and will be sent to the Board this spring. They are desperately needed. Even though the county is trying to apply the proposed standards, they are not official and there is no Fairfax reference to point to when we ask someone for a rack. We usually refer to Arlington's standards. We plan to contact the national Trader Joe's office to complain about the bike parking at the local store. Speaking of bike racks, we were pleased to see new U-racks at the local community garden. Reston Association has been installing U-racks at many of their properties. The installations are not always perfect but they are using the right type of rack and are being proactive in providing the parking. The standard rack is an inverted U-rack that allows two contact points on the bike. There should be plenty of side and rear clearance. They should be placed near an entrance, not tucked away on an upper level of a parking garage. A bike with panniers can easily be parked at a U-rack using a U-lock.